Nike recently unveiled a brand-new product under its Romaleos Series. 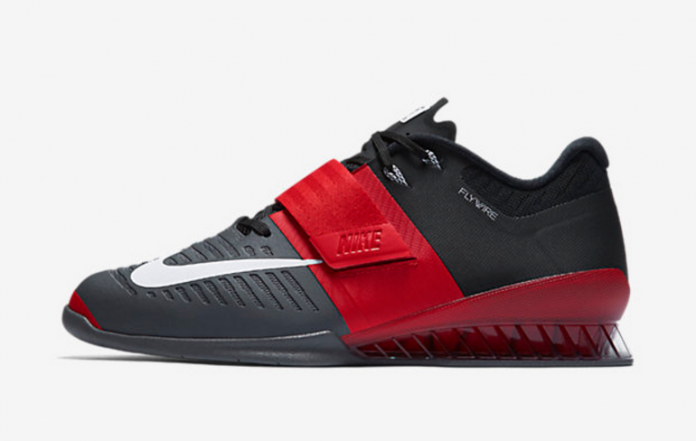 Nike Romaleos 3 is the first ever weightlifting CrossFit shoe for women as well. Yeah! You heard it right. Nike announced it’s 3d version series for both male and female weightlifters. As soon as Nike unveiled the updated yet modern version of its Romaleos 2, many professional CrossFit weightlifters were spotted wearing tem at their daily workout which acted as a right publicity for the brand. Apparently, after undergoing an extensive test on the new Romaleos 3, I actually liked it even more than 2nd version, thanks to its updated features that made it talk of the town quicker compared to any other Shoe Series such as Nike Metcon 2. Let’s dive into what makes this a decent weightlifting shoe and also, check out its cons and other features as well. The new CrossFit training shoe provides sturdy and firm support because of its high-density TPU Plate heel and solely designed on the honeycomb structure. It has an aesthetic design with components such as stylish grooves on the forefoot, single strap made up of polyester for better fit and security, etc. Boxrox adds that the shoe has a much comfortable and padded internal material that protects the foot from getting strained. As a CrossFit professional, your sneakers must fit perfectly on your foot to ensure better performance. It is highly imperative to select the perfect size that fits right and that is where it shines. When its dimensions were compared to its predecessor, it was found out that the new CrossFit training footwear has a similar forefoot i.e. broad whilst Nike has attempted to make it’s midfoot a little narrow to improve overall sturdiness. Thank god for an attempt to get the mid-foot narrower, it feels snuggly and comfortable when worn. Apart from its mid-foot, it offers flywire technology which automatically locks down with the help of straps that get locked to your foot to give proper fit. Finally, it features cushioning towards the ankle area as well as Achilles area that makes it extremely comfy to wear even when doing heavy activities. Starting with its heel, Nike had literally worked a lot of this modern iteration. It has a honeycomb structured thermoplastic polyurethane (TPU) plate that provides it with the capability of withstanding extreme weight by being non-compressible whereas its resistance against abrasions makes it totally worth it. The honeycomb structure is hollow, thus, you can see the inner material which adds up to its oomph factor. The shoe upper features a reinforced mesh that compliments breathability as well as provides a firm and sturdy support to the foot. The Romaleos 3 has kept its promise by being a lightweight CrossFit training sneker at just 13 Oz that makes it must want by pro athletes and CrossFit lifters. Nike has added its own flywire technology it in construction material that ensures sturdy fit at all time whilst being stylish as well as comfortable on the other hand. They has released the new show with different color schemes and basically, the two-tone color scheme looks phenomenal. The sleek design along with lightweight high-quality material makes up for most of the cons that this product may possess. Thanks to its broader forefoot, it allows much movement for the toe. The breathable mesh on the upper material allows the foot to remain cool and at the same time, away from any danger such as fall of dumbbells at the gym, etc. Jordan Weichers, a 63KG professional weightlifter tried it and came up with her list of pros and cons that she observed. Just a few days ago, she posted a photo on Instagram of which a copy is with BarBend stating that they are lighter than its predecessor. Further, she added that the toe box i.e. forefoot had more room to its flexibility and ease of movement. Nike spent a lot of time and money in its research and development which can be seen in its performance. It comes with interchangeable Insole that is Soft Insole and Hard Performance Sole that can influence your work out greatly. The former is for light practice whereas the latter is the real deal to install during heavy-weight lifting and other activities. A verdict on Nike Romaleos 3 could be biased since, those who are loyal to the brand would always praise it whilst those who aren’t, will utter negative comments even it is a good product. A customer review posted on Nike stated that the product lacks durability as promised. Although Romaleos 3 comes up as a winner when compared to 2nd version, it does have some cons that can be a major turnoff from professional lifters. I would recommend you to go through user reviews before deciding to buy this modern yet expensive product since a lot is at stake if you aren’t happy with it. Models that are competing in the same niche are: Adidas Adipower, Romaleos 2.